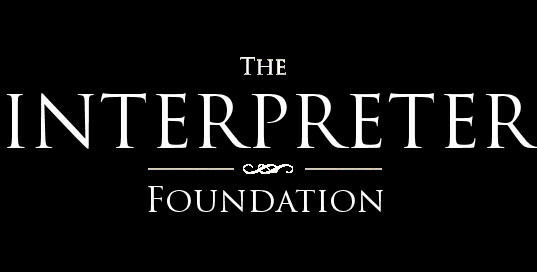 The Interpreter Foundation will periodically host or sponsor events such as conferences, symposia, debates, and discussions. These will be of particular interest to our readers, and we will try to always make them available later by video/audio recording and in paperback. Click on the event below to learn more. The 2018 Temple on Mount Zion Conference will be held on November 10 at BYU. More information will be posted in the near future. The premiere broadcast of the Interpreter Foundation’s first filmmaking venture, Robert Cundick: A Sacred Service of Music, is scheduled for 3:00 PM (MDT) on Sunday, 3 September 2017, on BYUtv (not KBYU). There will be a celebration of the just-published second edition of the six-volume Analysis of Textual Variants with a presentation by Royal Skousen on the Book of Mormon Critical Text Project, followed by a reception and book signing. The Interpreter Foundation is co-sponsoring a lecture by Margaret Barker, the prolific British Methodist Old Testament scholar, who will be speaking on “Theosis/Divinization,” in the Varsity Theatre, WSC, Brigham Young University, in Provo, 4:00 pm, Wednesday, November 9. The lecture is open to the public. The schedule for the upcoming third “Temple on Mount Zion” Conference has been announced. The Third “Temple on Mount Zion” Conference in memory of Matthew B. Brown is upcoming on Saturday, November 5, 2016, at BYU in Provo, Utah. Lectures will be given by Royal Skousen and Stanford Carmack regarding grammatical variation in the Book of Mormon on Wednesday, 6 April 2016, at 7:00 pm, in room 1102 of the Jesse Knight Building at BYU in Provo, Utah.